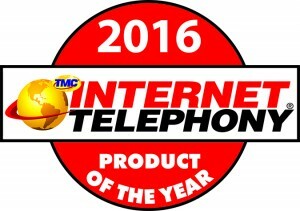 Solution for Independent Operator | Unified Office provids cloud VoIP/UC business solutions for SMBs. Legacy phone service “clips” peak demand. Unified Office captures peak order calls for a store and queues callers with an on-premise auto attendant. Unlimited call capacity. Unified Office’s VPS “wallboard” displays real-time call KPI’s (“speedometers”), and coaches store team to increase their effectiveness and capture more revenue. Unified Office’s VPS web-based Manager’s Portal consolidates and presents real-time store KPIs and real-time alerts, allowing executives to manage each store’s performance. TCN managed service offloads store managers from dealing with on-site equipment, broadband, and network services (installation, activation, problem ID, service management). TCN managed service avoids revenue losses with multiple network resilience levels, geography-based cloud redundancy, Highest Quality Routing on every call, on-premise server for rapid problem isolation and repair, plus automatic broadband failover. Whisper coaching. Staff call recordings and archiving for review and coaching. 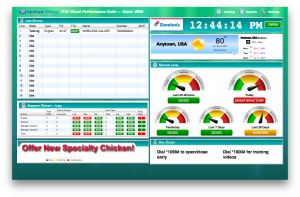 With TCNOPS™, track, report and manage refrigeration, prep table, and more. Independent Operator John Roy of Pizza 911 talks about “increasing revenues” by 35% with Unified Office: Watch Video!